Based out of Paris, Spiders development studio may still be considered new to the video game industry. From the investigative mysteries of 'The Testament of Sherlock Holmes' and 'Sherlock Holmes versus Jack the Ripper', to the less-than-notable 'Mars War Logs', they've yet to have a mainstream breakout success. 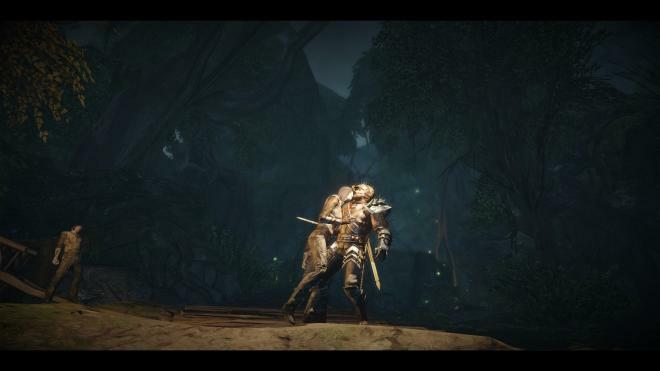 Now, it seems the developer has turned to the more mainstream action/fantasy RPG genre, which already means that their latest development effort, 'Bound by Flame' is ambitious. By targeting the PS4, that ambition quotient gets raised even higher. With a surprising amount of marketing attention provided by publisher Focus Home Interactive, 'Bound by Flame' may be the title needed to boost Spiders to the next level of video game development accreditation. But are their efforts creative enough to stand apart from an already crowded genre? As one of the Freedom Blades - a group of mercenaries for hire - you are tasked with protecting the Red Scribes as they desperately search for the magical means necessary to combat the Ice Lords and their undead army, the Deadwalkers. Set in a typical fantasy RPG, 'Bound by Flame' begins as any number of similar games that have preceded it – through character creation. Thankfully, as I've never been a fan of the nuances that some character creation mechanics have allowed for in the past, 'Bound by Flame' keeps things simple: facial structure, hair-no-hair, and a name that you baptize your character with. However, I did find it odd that regardless of the name you chose for yourself, every other character in the game calls you Vulcan. At first I thought it was a title or nickname, but quickly realized that wasn't the case. Not a game breaker by any means, just an odd mechanic. 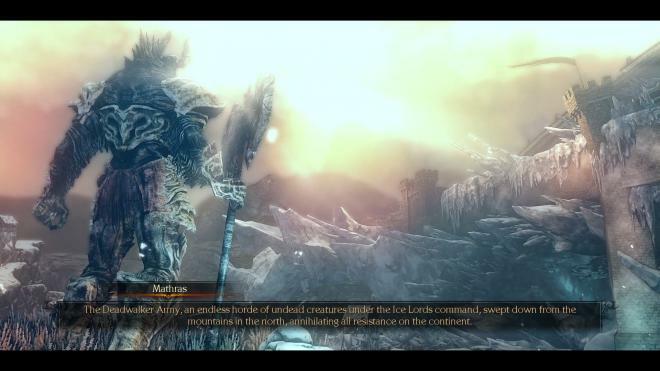 During the prelude, the Red Scribes come under attack by the feared Deadwalkers. Their ceremony, designed to banish the Ice Lords and their minions, goes terribly wrong and poor Vulcan takes the brunt of the ceremony's intended purpose. As a result, his body becomes host to a demon that provides Vulcan with the power to wield flame – hence, 'Bound by Flame'. From here the story unfolds over the course of several acts, numerous main and side missions, and across a handful of settings. The journey along the way attempts to keep things interesting while delivering a tale that is equal parts mystery and adventure. While the bulk of 'Bound by Flame' undoubtedly finds its source material from the likes of 'Skyrim', 'Dragon Age', and 'Kingdoms of Amalur', there is enough left over to still provide a somewhat unique experience. The combat of 'Bound by Flame' is its primary saving grace. Being able to change battle stances on the fly between a fierce and powerful warrior, and skilled and deadly ranger, provides tactical variation in a world populated by monsters and demons with larger-than-life health bars. With the press of R1 on the Dualshock 4, your character not only equips the weapon specific to that stance – long sword or daggers – but immediately takes on the attributes of that fighting style. Sword blocks are exchanged for quick dodges, and heavy strikes are replaced with a flurry of blades. Add to this your newfound ability to harness fire – shooting from your hands or engulfing your weapon in flames – and one might suspect that your character would be a menace to be reckoned with; a force of overpowering, . . . um . . . power. That assumption couldn't be further from the truth. While having additional combat abilities at your disposal certainly doesn't hurt, even the most common of monsters can dispatch you quickly and efficiently. You'll learn early on that mastering these combat techniques will be your only saving grace. Button mashers need not apply and will undoubtedly fail. This forced learning curve is, in the end, much more satisfying than what you might expect. 'Bound by Flame' is not at the level of 'Dark Souls' difficulty, but knowing your opponent - knowing when and how to attack - is what keeps the game interesting. Adding to the fluid combat mechanics, 'Bound by Flame' also includes a fairly robust leveling-up and crafting system. Spread across the two combat stances, as well as the flame ability, the experience trees offer enough variety that spending those skill points is often a thought-provoking experience. Thankfully, earning the experience needed isn't necessarily a grind, and you'll find yourself making these decisions often. And like any qualified RPG, looting everything and anything will yield riches both common and rare. Being able to take everyday objects and craft them into the resources needed for weapon and potion upgrades is a nice feature that will come in handy quite often. Although, understanding which items benefit you the most takes time to learn, I appreciated being able to pause the game at any point to craft a much needed health potion, or upgrade my weapon just enough to better manage that horde or Deadwalkers. It saved me from a number of chapter checkpoint restarts. Still, as much effort as the developers at Spiders clearly put into the robust combat mechanics, the same simply cannot be said for other, just as important, aspects of the game. Enemy and environmental variety, especially early on in the game, could have benefited greatly from additional development attention. And while the story kept me somewhat interested, the dialogue writing and delivery was severely lacking. I may not be a historian by trade, but much of the communication between characters came across as more 21st century rather than born of an epic fantasy. If the intent was to consistently rip me from the experience, they succeeded. I'll be honest, as marketing efforts for 'Bound by Flame' ramped up, as I watched more and more developer videos, I became excited for the games' release. While still being cautiously optimistic based on other titles from the developer, the final presentation simply did not live up to my expectations. 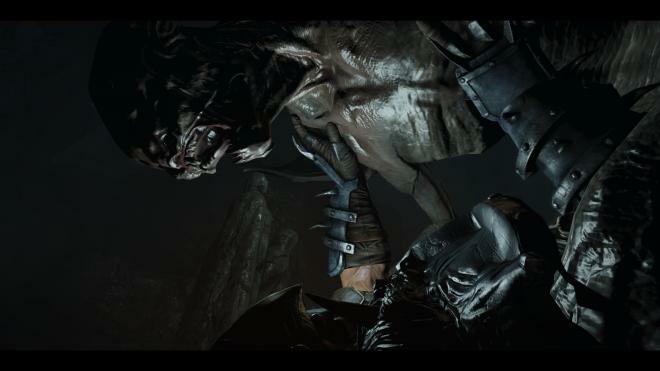 Although not totally disappointing, the character and environmental animations were not without its share of rough edges. Simply put, they did not meet the standards of what I have come to expect from this current generation of home consoles. With that said, I was generally impressed with the creative creature designs, especially as the game progressed. Whether from the labyrinthine swamps, or the larger boss battles, the creatures that you face emitted a strong sense of menace and fierceness. Their attack styles nicely matched their originality, but their frequent encounters left me consistently looking for something new. Although the camera often became confused while fighting larger groups of enemies, the frame rate never took a hit. It was also rare that I ever encountered environments struggling to catch up through pop-in. This was a pleasant surprise and resulted in a solidly performing game from start to finish. Spiders clearly struggled with the writing for 'Bound by Flame'. Consequently, it should come as no surprise that the delivery and voiceovers are equally difficult to bear. Aside from the selected voice actors being completely out of time and place, there was very little in the way of a solid performance. I'm still convinced that the actor that portrayed Vulcan was a Nolan North ('Uncharted') impersonator. Take a few moments to imagine a similar sounding voice actor in a fantasy setting. It simply screams failure. Add to this a near-complete cast of throwaway performances and you've got yourself the biggest failing of 'Bound by Flame. That's not to say every character was inappropriately voiced; some did a passable job. But when even the best the game has to offer mispronounces key phrases (yes, that actually happened), it can ruin even the most noble of efforts. Where there was clearly a lack of qualified actors involved with the development of 'Bound by Flame', the musical score was somewhat of a saving grace. Although repeated often, the calm and serene moments, broken up by the much more enjoyable combat sequences, came close to hitting the mark. I especially enjoyed the rapid and booming drum score when entering desperate fight scenes. It elevated the experience and emitted a sense of overwhelming odds. Like many fantasy RPGs that came before it, 'Bound by Flame' includes both dialogue trees and decision options that need to be made throughout the game. As one might expect, this translates into generally favorable replay value. Taking into consideration the choices that Vulcan needs to make when concerning his inner demon (pun intended), and if he will give in to temptation through necessity, is reason enough to give 'Bound by Flame' a second play through. Making alternate choices when leveling up your combat styles would also add to this replay decision, but completing the game once will come close to completing all available upgrade options. There are also higher difficulty levels that will undoubtedly present more frantic combat. Although 'Bound by Flame' certainly has some shortcomings, the fluid combat and alternate choices may be enough for some to suffer (or skip) through the character dialogue a second time. The fantasy RPG is more than a little crowded, and breaking into that genre is likely to be a difficult task. With the help of Focus Home Interactive, the marketing campaign behind 'Bound by Flame' raised more than a few eyebrows, including my own. Everything about the game had me interested and I was more than a little excited to occupy my time with this new adventure in between some of the bigger AAA titles still to release. Not without its shortcomings, 'Bound by Flame' is still an ambitious title for developer Spiders. It sets an interesting, albeit familiar, tone, and delivers an enjoyable and addictive combat system. Unfortunately, this being a grand adventure, the developers should have realized the importance a well-acted character can have on the final product. 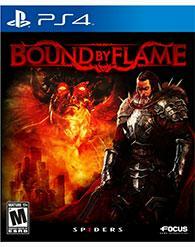 Had the game been voiced by more qualified actors 'Bound by Flame' could have become a major sleeper title for 2014. Instead, these poor performances have left an unfavorable impression. It's worth visiting for the combat mechanics, but staying for the duration may be a difficult task.